Your dental emergency does not have to be your dental nightmare! 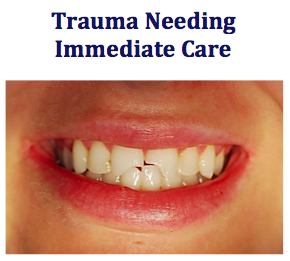 Having fractured her two front teeth after falling down, this patient was desperately seeking an immediate esthetic correction. 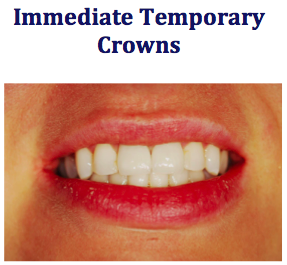 Our in-house laboratory quickly fabricated two custom temporary crowns, which we placed two days later. Having solved her immediate esthetic problems, we then scheduled her with an endodontist to solve her “root” problems. 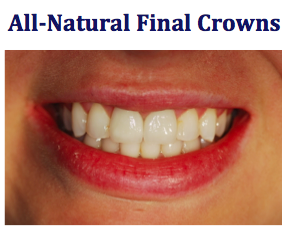 Prior to fabricating her final crowns, we whitened her other teeth, which were too yellow for her age bracket. 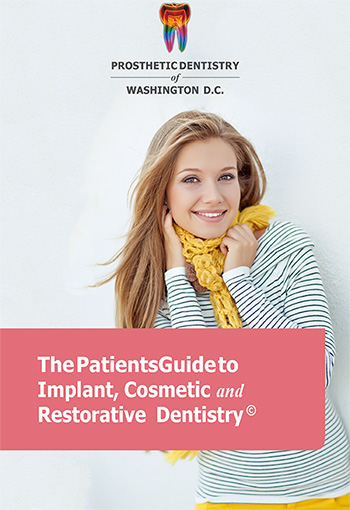 Once the whitening had been completed, our technician worked directly with her at the lip line. She has now been rejuvenated with an even better “look” than before her accident.